I’ve owned a Roland Octapad for over two years and it has become an essential part of my setup. 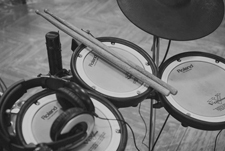 This article covers my experience of using this instrument in comparison to other drum pads. My aim in this article is not to regurgitate tech specs. 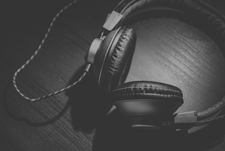 It’s a perspective from someone with a lot of experience using the electronic instrument, and it will help you decide if this is worth the investment or not. This instrument is an electronic pad built for drummers and percussionists. Roland refers to the Octapad SPD-30 as a percussion pad rather than a sample pad. It has a large amount of built-in sounds, which can also be customized through the device. Roland almost doubled the number of onboard kits in the Version 2 system update. 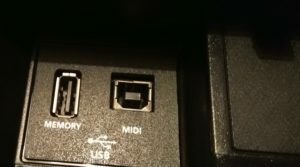 If you own an Octapad SPD-30 with the old software, you can upgrade to the newer version by connecting the instrument to your computer via a USB cable. (Software updates are available on the Roland website). The onboard sounds range from acoustic sounding drum kits, electronic hits, world music percussion, and musical sounds like bass synths. Therefore, this instrument can be used for a wide variety of genres. This instrument also allows you to extend with additional pads, a kick, and a hi-hat controller. You can use it as a mini drum-kit. The SPD-30 uses Roland’s V-Drum technology, and that’s noticeable when you’re using elements like the hi-hat controller. It feels as responsive as a quality electronic drum set. I used this instrument with the Roland FD-8 hi-hat controller and it worked really nicely. I also switched between a few different kick pads (both Roland and Yamaha brands). They all worked seamlessly. I love setting the Octapad up next to my acoustic drum set for live performances. 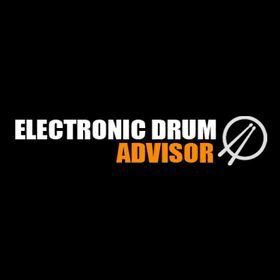 A great aspect about the extensibility of this electronic instrument is that you can hook up almost any type of drum trigger or pad to it. For example, you can hook up an acoustic drum trigger to your Octapad. For example, using a kick-drum trigger you can complement your acoustic bass drum sound with an electronic kick. This is a great option when you want to expand your drum sounds, or when the mic setup if your kit is less than ideal. A very important point to keep in mind is that the Octapad does not allow for custom sampling on-board. Therefore you cannot add your own WAV files to this device. 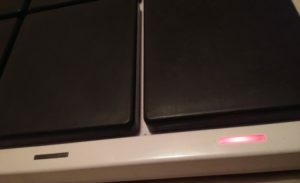 Alternatively, you can always use the Octapad as a MIDI controller to a computer and trigger your samples through that. If onboard custom sampling is a feature you really need, you should consider getting the Roland SPD-SX. However, that device does not have as many extensibility options and does not have phrase looping. The SPD-SX serves a different purpose. Although the Octapad does not allow for importing custom files, it does include a lot of customization of the internal sounds. For example, you can layer sounds together, change the pitch, add a bunch of different effects such as reverb. You can also customize and create your own kits based on the built-in sounds on the Octapad. How do the pads feel to play? The pads are very sensitive. They can really nicely detect slight changes in your strike. I think this is one of the biggest advantages that the Octapad has over its cheaper alternatives. 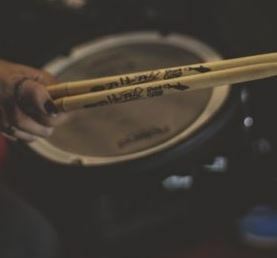 A drummer that is used to playing a high-quality electronic drum set or acoustic kit will be very satisfied with the response of the pads. It’s not silent. It’s more like hitting a rubber pad. This should cause absolutely no problem when playing with speakers or on stage. However, when playing at home, it’s not as quiet as hitting a mesh pad for example. The actual audio output of the device is great. There are stereo outputs or the option to output in mono. It’s a joy to play on stage. I’ve used this as a primary instrument on stage, as well as a secondary option next to my drum set. The sensitivity of a pad can feel different when you’re playing live. You can often hit the pads a lot harder when your adrenaline is pumping. Thankfully, this instrument is sensitive enough to still differentiate between big strokes. I’ve used cheaper options live, and the volume sensitivity for live performance fell down greatly on those. Having an instrument like this really allows you to explore a much wider range of sounds. It can add a new sonic dimension to your live performances. The Octapad allows you to enter phrase looping mode, which allows you to perform your own sequences with up to 3 kits at a time. I found the menu system very useful for this, as it’s easily possible to mute and delete pads on the fly. You can also hook up an external foot-switch and customize what action it will perform. For example, you can set the foot-switch to automatically start the phrase looping mode. The lights next to each pad are extremely useful. The lights show you which pads are currently active in the phrase loop. Hitting a pad initially will add a note to the loop and will turn on the light. The lights also flash depending on muting of pads during on the phrase loop. The quality of the Octapad is superb. My one has been through a lot and it’s still almost like new. It’s been dropped and even rained on a few times. The pads have absolutely no cross-talk issues between them. If you clearly hit one pad, it’s never going to accidentally trigger another one. 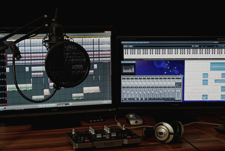 The Octapad can be used as a MIDI controller to a digital audio workstation. As expected, you can also chain it up to other devices and sync the metronome. This is very useful if you’re using the phrase loop functionality while playing music from other electronic instruments. What are the drawbacks of the Octapad? 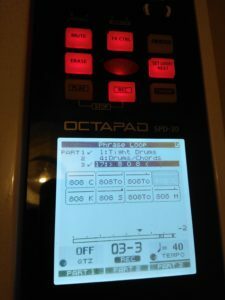 The Octapad instrument is quite expensive, there’s no getting away from that. In fact, all Roland pads are expensive. However, they’re absolutely top quality. 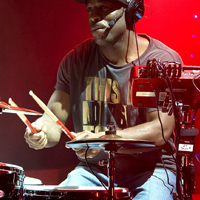 Roland are generally the brand of choice for the professional musicians when it comes to percussion pads. Once you get used to playing the Octapad, you’ll never want to play on a cheaper pad again. For this price range, I personally found the lack of custom sampling unfortunate on this device. Though for my own use, I could live without it. I use the Roland PDS-10 stand. It’s very sturdy and built for Roland pads. However, you’re certainly not constrained by that option. 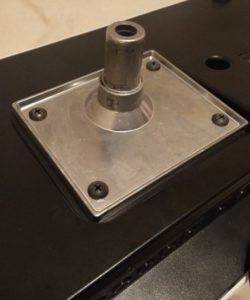 You will need a module mount if you wish to mount the Octapad to a piece of hardware, such as a drum rack or stand. I personally mounted my Octapad directly to my Roland V-drum rack, as the module mount fitted directly into the pad holders. I’m a big fan of the Octapad. It’s by far the best percussion pad I’ve tried to date. It’s not completely perfect; its lack of custom sampling is a drawback in this price range. However, it’s not built for this purpose. If you have the budget then I’d highly recommend you consider this instrument. It majorly beats cheaper models in almost every point of comparison. It can withstand constant touring. It’s a very good investment in quality. 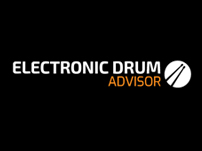 If you want to check out other models, be sure to check out our popular article on the best electronic drum pads. Write a comment below if you would like any more information. I would be very happy to answer any questions you have on the Roland Octapad.